* Indicative price (excl. of Tax) Product not available. Mix together Best Food Real Mayonnaise, lemon zest, herbs and Knorr Lime Seasoning. Combine black pepper, breadcrumbs, eggs, salt, garlic, black beans, bell pepper, onion, toasted cumin seeds. Coat sauté pan lightly with olive oil and heat over medium heat. Fry patties lightly browned on both sides and heated through. 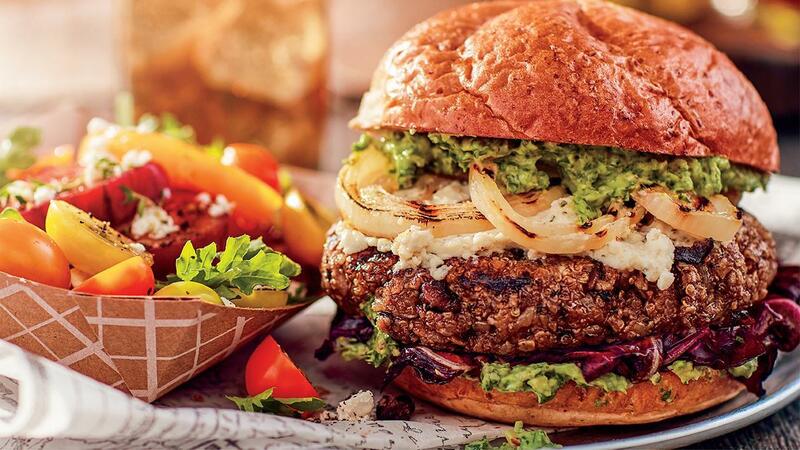 Spread cut sides of bun evenly with Lemon-Herb Mayonnaise and build burgers.